Is Equity Crowdfunding The Right Financing Option For Your Business? 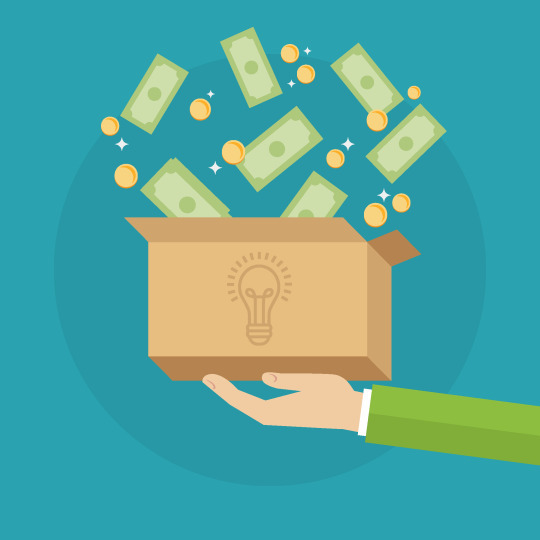 Is equity crowdfunding the right financing option for your business? Accessing capital is vital for almost all early-stage businesses and SMEs. Whether funding comes from a bank, venture capital firm, angel investor, or an obnoxiously wealthy uncle, most businesses will have to access capital at a number of stages in their development in order to keep growing and scale to new markets. The issue in the region is that banks aren’t lending to SMEs, angel investing and venture capital are still maturing, and most of us don’t have an obnoxiously wealthy uncle. 1. Efficiency. By bringing the capitalisation process online and allowing pretty much anyone to invest, equity crowdfunding makes raising capital far more efficient than more conventional sources. Instead of having 50 meetings with 50 potential investors, you can have one meeting with 10,000. 2. Your customers can buy into your success. Equity crowdfunding’s democratisation of the private equity investment process allows businesses to get their fans and customers to buy into the company, to share in its success, and thus cement their loyalty to the brand. 3. Campaigns are great for marketing and PR. Equity crowdfunding campaigns are a great way to get exposure for your business, both in the media and among visitors to the platform. 4. Brand ambassadors. Once an investor buys equity in your company, they are going to want it to succeed. By building a wide base of investors through equity crowdfunding, you can create an army of brand ambassadors, who will spread the word about your business, help you make strategic connections, and perhaps provide you with follow-on funding later on down the road. 5. Cash flow concerns. Unlike loans, which require regular interest payments that can sap a business’ resources, equity investments won’t affect your cash flow. Once you’ve decided that equity crowdfunding is the financing route for you, there are a number of things to consider to ensure a successful campaign. 1. Start early. Get the process underway well before you’ll actually require the funds. We at Eureeca recommend around six months. 2. Tap into your own networks for investment. Equity crowdfunding platforms don’t raise the money for you. They connect businesses with investors. It is crucial that you have people from your network, be they friends, family, customers, or LinkedIn connections, ready to invest in your business. By bringing your own group of investors -people who already know you and your businessto the table, you will get momentum going early, which will inspire confidence in others using the platform to invest. 3. Get the pitch right. As with trying to raise money offline, you need to have an organised, clear, and compelling pitch in order to attract investment. Make sure that your product and value proposition are digestible by all, including less experienced investors, and that you produce a high quality video for the pitch. Fail in either of these and you’ll have a hard time convincing people to invest. 4. Offer an attractive deal to investors. Simply put, an overvalued business won’t get funded. Investors want to be getting fair value for their investment, so be reasonable when setting your valuation. 5. Amplify your message. Because equity crowdfunding campaigns are conducted online, they are easily sharable. Use this to your advantage and project the news of your campaign throughout your networks. Use your social media accounts, email newsletters, and family dinners to tell everyone you know about your campaign. You never know who might invest. 6. Be ready to hustle. Equity crowdfunding makes raising capital more convenient and efficient, but that doesn’t mean it makes it easy. You have to dedicate time regularly to curating your campaign and engaging with investors. Get out there and hustle. This will inspire people to click the invest button.